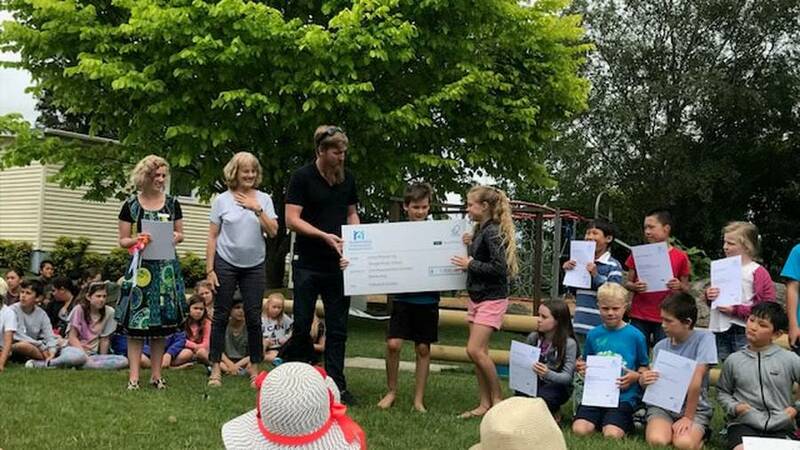 Over the last two terms PF Olsen engineer Dan Phillips has been working with the children from Otonga School, planning and building a Musical Garden which includes a freestanding drum kit, a three-sided percussion instrument and a marimba. The project was part of the national Transpower Neighbourhood Engineer Awards and won $1,500 for the school. The aim of the awards was to create a greater awareness of the engineering profession and to encourage innovative thinking in the areas of engineering and technology. The long-term aim of the awards is to excite and inspire more students to study for a career in technology, engineering and science. Dan helped out at the school on a weekly basis encouraging the childrens' creativity and innovation "It was rewarding to help students develop skills including research, project management, teamwork, drawing plans and using tools such as a tape measure, level, concrete trail and spade."